Having read and loved Recipes for Melissa by the same author, I just had to get hold of this book. Katie has been sleepwalking through life. Where she once had a happy, bustling life, she now had a shell of a life. Empty, with hours at hand with nothing but her thoughts. So empty that she took to getting on tourist bus tours and escaping the reality of her life for a few hours. On one such tour she spots a strange woman knotting something in lemon yellow. Martha has secrets of her own, ghosts of her own past that continue to haunt her. Kate and Martha strike up an unlikely friendship. So much so that Kate offers Martha a room to stay at her house, much to Toby, her husband’s surprise. Kate and Toby have problems of their own. Since they lost their son, they’ve grown far apart. Kate seems to be unable to let go. Her demons seem to want to keep her in her dark place. Matthew is a teenager who has just found out that everything he knew about his life is actually a lie. He has runaway from home and all he wants is a way to find out the truth. As the story unfolds we get to feel the pain, the loneliess and the desolation that the characters go through, the secrets that they are hiding within themselves. Will they ever be able to overcome the burdens of their secrets, would something change for them? Wish I could say more but that would spoil the book for you. A beautiful story with the most richest of characters and events. I especially loved the characterisation, they all for in so well with the story. The story line progresses via narratives about several characters. Martha, Josef, Matt, Kate. Each slowly connecting to the main story. One that will not fail to touch you. A story that brings to light the predicament of unmarried young women just a few decades ago and the brutal methods adopted in treatment of mental health patients. It’s heart breaking to read. It touched me a little more as it brought back memories from a time when we lived in a development which had the ruins of what looked like a beautiful majestic building in the middle. When I first moved there, I was told by locals that it had been a mental hospital which also housed unmarried pregnant girls at one time because there was no place for them to go. I had never realised then that it might not have been a one off, but quite a routine thing to do. I was so glad of the way the book ended, although as the author herself says, it isn’t always this happy an ending for most people. A beautiful book that I can wholeheartedly recommend. 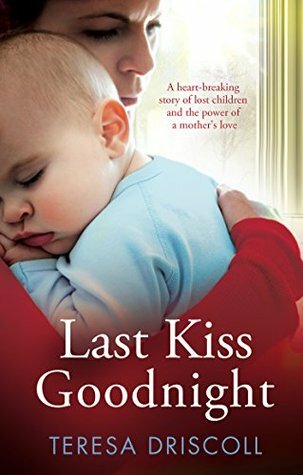 A story of the bond between mothers and children, undying love as well as friendships found in the most unlikely of situations. A book I would love to re-read and gift. Teresa Driscoll is a former BBC TV news presenter with 25 years’ experience across newspapers, magazines and broadcasting. After training as a newspaper reporter, she joined Thames TV for five years before 15 years as the anchor of the BBC’s south west regional TV news programme Spotlight. Teresa has been writing short stories for a range of national magazines for a decade and has tutored creative writing with the support of Arts Council England. Recipes for Melissa – her debut novel – was auctioned at the Frankfurt Book Fair and has already sold in six languages. Some authors, I pick up without a second thought, or rather I grab their books greedily, sometimes to read right away, sometimes to be kept away to savour when I’m in the right mood to enjoy them them most. Renita D’Silva’s books have fallen into those books that I grab greedily. This one was no exception and I read it in one shot because I couldn’t bear to stop. Jaya has had double tragedies. Her mother dropped dead of a massive heart attack when she was pregnant with her son Arun. A few months later her son dies of cot death. Jaya is completely broken by both these tragedies. She has not only lost her mum and son, she had also pushed away her husband, Ben. The closeness they shared seemed to be a thing of the past. Overcome by sadness and guilt, guilt that she should have somehow kept her son alive, guilt that she never got to know her mother, had her turn to therapy. As she progresses through therapy she starts looking at her mother’s belongings which she hadn’t had the courage or strength to look at. Her mother had been extremely reticent about herself. Jaya knew almost nothing about Sudha. All her efforts to find out while Sudha was alive didn’t go far. As she gathers the will to go through her mum’s belongings, she finds diaries and pictures of a place in India. 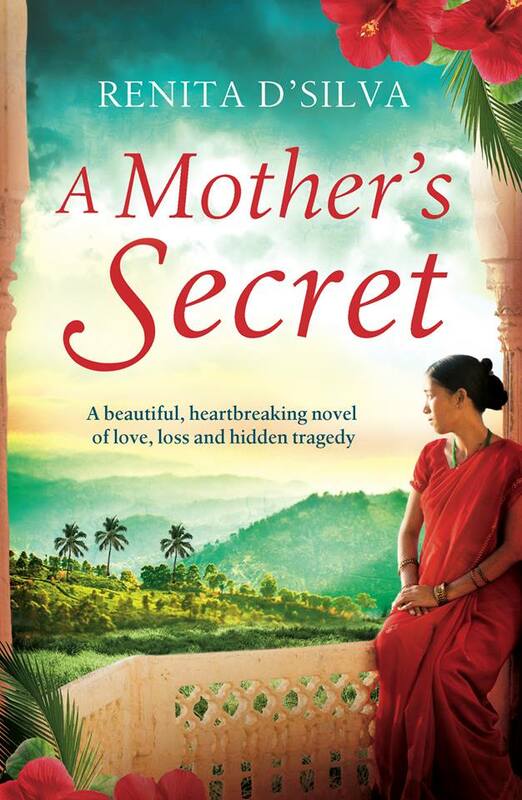 As she starts to read through Sudha’s diaries, the person who her mother was begins to emerge. She starts to understand her mother’s little behaviours which had made no sense until then. Before she got a chance to finish reading Sudha’s diaries, a missive from India brings things to a head. Along with Jaya’s journey of discovery, runs a parallel story of Durga, a little girl thrown into confusion when her parents meet with a horrific accident and end up in coma. Durga is a strong willed girl who isn’t exactly a favourite of her neighbours. They start looking after her initially after the accident, but soon has her carted off to her grandmother who had never shown any interest in her granddaughter. Durga finds herself in a ruin of a grand mansion with her grandmother and a woman who is considered mad by the village folks. What is the link between Jaya and Durga? You’ll have to read to find out. But what I can promise you is that it is a great read. Intriguing as you try to understand where the story is going and the final revelation. I kind of guessed what was coming but that didn’t detract my enjoyment of the book at all. I’ve always found Renita’s writing very vivid, invoking strong imagery of the setting and the trials that her characters go through. Be it social discrimination or conditioning, or the wonderful descriptions of food. Especially the descriptions of food. I could feel Sudha’s pain as she grows up with the disapproval of her parents, of Kali’s motivation to better her status. Her characters aren’t black and white. You feel for Kali even when she is at her darkest. You understand why she (and Sudha, for that matter) does what she does. A book that was an absolute pleasure to read. Renita D’Silva is the auther of 4 books, ‘Monsoon Memories’,’The Forgotten Daughter’,’The Stolen Girl’ and ‘A Sister’s Promise’. Her books evoke vivid imagery of India and food and makes for very compelling reads. I’ve mentioned before how I’ve never thought I’d get hooked on to paranormal fiction, but Caroline Mitchell had to come and change all that. 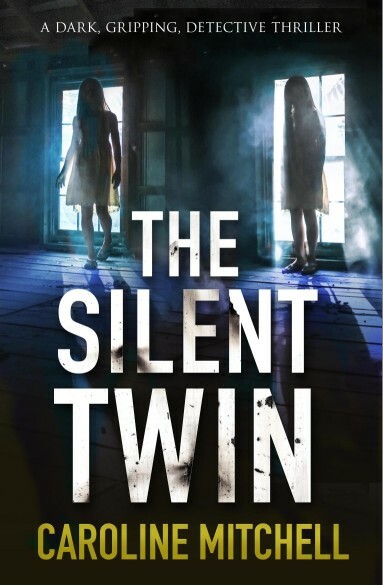 I now wait for Jennifer Knight books, so it was a given that I will grab at any chance to read The Silent Twin. Abigail and Olivia are nine-year-old twins, close and inseparable, until Abigail goes missing. Since Abigail has gone missing Olivia has become mute, refusing to say a word until she whispers ‘I’m alone in the dark, please can you find me’, in DC Jennifer Knight’s ears. Abigail is speaking through Olivia, Knight realised. As a family liaison officer she knows she is up against time to find Abigail. She needs to break Olivia’s silence, find out why she is silent. She has her work cut out for her. The twins lived with their parents, father Nick, a cop, and mum, Joanna a businesswoman, in a crumbling, creepy farmhouse. Everybody seems to have something to hide, even the farmhouse. DC Knight has the unenviable task of figuring out whose secrets are the most dangerous. The story progresses with diary entries of a person seemingly responsible for Abigail’s disappearance. The author does a fantastic job of creating a dark, chilling atmosphere. You can feel the desolation, the desperation. You are there, in that desolate farmhouse, with the family, at odds with each other. She portrays the dysfunctional family that they are so beautifully. In the midst of it all, there’s Olivia, caught up in the middle, lonelier than everybody, refusing to say a word. You wonder who is desperate or evil enough to kidnap or kill the poor child. A book that I found tough to put down till the very end. I think this book is my favourite so far. I can’t wait for the next one. My Rating: 4.5/5. Fantastic throughout, kept me guessing. Loved the way it ended. Thank you Netgalley and Bookouture for the review copy of this book. Caroline Mitchell is the author of Amazon best selling true story ‘Paranormal Intruder’, and her recent debut crime novel ‘Don’t Turn Around’. This is a review I started to write about 2 months ago. Somehow didn’t find the time or the energy to complete it. That is no reflection on the book though. I’ve read Lisa Jewell’s books before and have loved some of them. The blurb on Netgalley had me hooked and I just had to request it. Clare and her daughters Grace and Pip have had to move from where they lived a happy normal life. Clare and her girls are carrying a secret. Her husband and their father has done something that has scarred and scared all of them. They hope, or rather Clare hopes that a change of scenery will give them the peace and the anonymity to go about their lives. They move into a house with a communal garden. It feels a like a very nice place to live in, with an interesting mix of people living there. Home schooling Adele with her rather cool and popular husband, Leo, and their daughters, Rhea who has lived here for years and carries the burden of her own past and memories. The social worker mother who seems to be more concerned about her charges in her professional capacity rather than her own daughter. Grace and Pip make friends, at least some semblance of it and find their own place in those communal garden. Grace more than Pip seems to fit it better. Pip on the other hand still wants to cling on to her old life. Her yearning for her dad and the life that they left behind is beautiful portrayed in the letters she pens him. I found Pip’s letters extremely touching and moving. 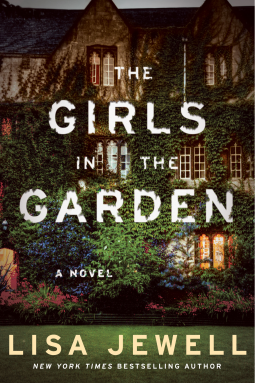 The once welcoming communal gardens take on a different persona when Pip discovers Grace bloodied and unconscious in a dark corner of the communal gardens. What follows is an absolutely brilliant piece of work by the author. She keeps us guessing and wondering while revealing layer by layer, each of the characters. I think this is what I loved about Jewell’s writing, the characterisation. So real, so relatable. Each of the characters were so well defined. Just like how that seemingly harmless communal garden harbours deep, dark secrets, so do the people who live there. A book I would definitely recommend. One I enjoyed reading thoroughly even with worries surfacing that this could happen to any of us, any of our children. Lisa Jewell (born 19th July 1968, Middlesex, London) is a popular British author of chick lit fiction. Her books include Ralph’s Party, Thirtynothing and most recently 31 Dream Street.